With hectic schedules and long to do lists, managing the day to day for your family can feel like a full time job. Life360 is here to help! 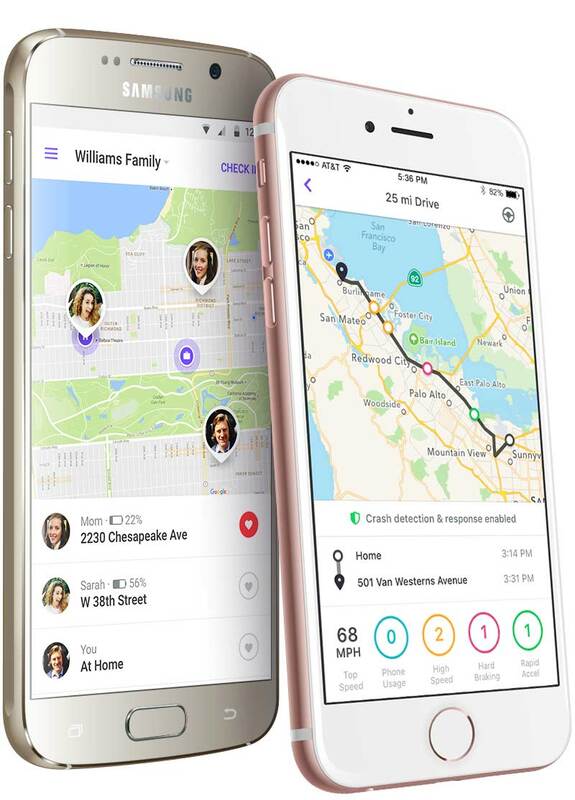 Whether you're making dinner plans, coordinating carpools, or just ensuring everyone arrived home safe, Life360 gives you simplified communication and peace of mind right at your fingertips. No more endless texts and calls wondering, did Sarah make it home? Has Dad left the office? When will Mom arrive to pick me up? With Life360, just open the app and instantly see everyone in your private Circle on the map. You can also message the whole group at once or privately. Avoid annoying “where are you?” calls and just send a quick “check-in” to let Mom know you’ve made it to soccer practice and you’re doing great. Or you can make it really easy, and automate the whole thing by adding “Places” to alert you when Circle members come and go from your favorite spots.